The Radio Station 8 Edition The Radio Station is considered the standard work on radio media. It remains a concise and candid guide to the internal workings of radio stations and the radio industry in all of its various forms. Not only will you begin understand how each job at a radio station is best performed, you will learn how it meshes with those of the rest of the radio station staff. If you are uncertain of your career goals, this book provides a solid foundation in who does what, when, and why. The Radio Station details all departments within a radio station--be it a terrestrial, satellite, or Internet operation-from the inside-out, covering technology to operations, and sales to syndication. It also offers an overview of how government regulations affect radio stations today and how radio stations have adapted to new communications technologies. Drawing on the insights and observations of those who make their daily living by working in the industry, this edition continues its tradition of presenting the real-world perspective of where radio comes from, and where it is heading. 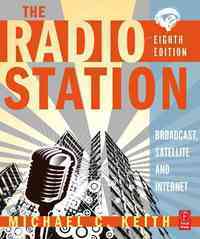 The Eighth Edition of this classic text includes expanded sections on digital, satellite, and Internet radio; integration of new technologies; new and evolving formats; the uses and applications of podcasts and blogs; mobile multimedia devices; programming for the new radio formats; new contributions by key industry executives; digital studios; station clustering and consolidation; industry economics and statistics; and updated rules and regulations. The new companion website features the interviews and essays with industry professionals, an image bank, additional suggested reading, and a listing of helpful links to industry websites. This edition is loaded with new illustrations, feature boxes and quotes from industry pros, bringing it all together for the reader. Please visit the companion website and click on the Resources tab at the top for helpful links and extra content.